Last month my husband and I went on our 10th trip to New Orleans. It is without a doubt our favorite city in the USA. We love it so much that we had our destination wedding there! 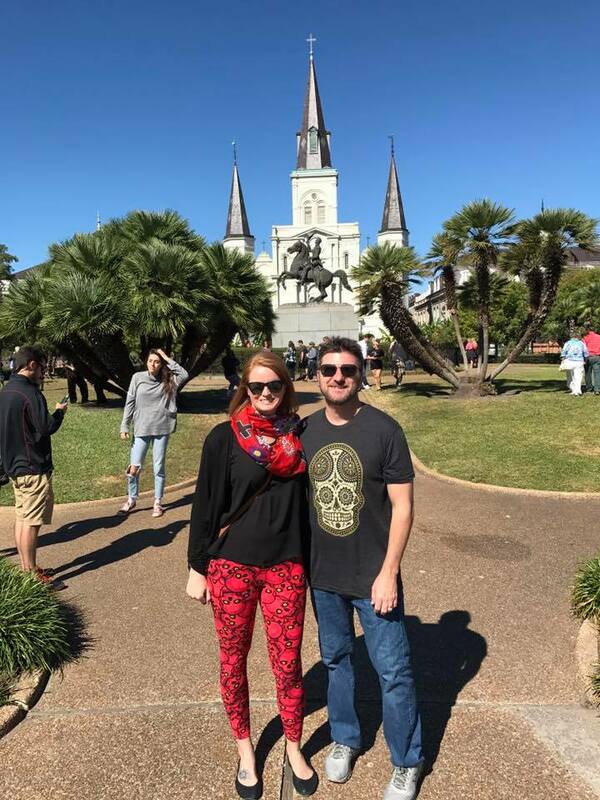 I am frequently asked why we love visiting NOLA and there are multiple answers: It's romantic, fun, historical, beautiful and you will find some of the best food there. We plan our trips to the big easy based around what and where we are going to eat. On this trip, we finally made it over to Restaurant Revolution, an award winning restaurant located in the French Quarter. I had one goal at this restaurant, to try their famous Death By Gumbo, a dish where they stuff a whole bird of your typical gumbo ingredients (rice, sausage, oysters, spices, etc) and serve it whole in a bowl, covering it with gumbo broth. I have many friends who have tried this dish and rave about it. I can truly say, after trying it myself, this goes on my must eat NOLA list and instantly started thinking about how I can make this at home. 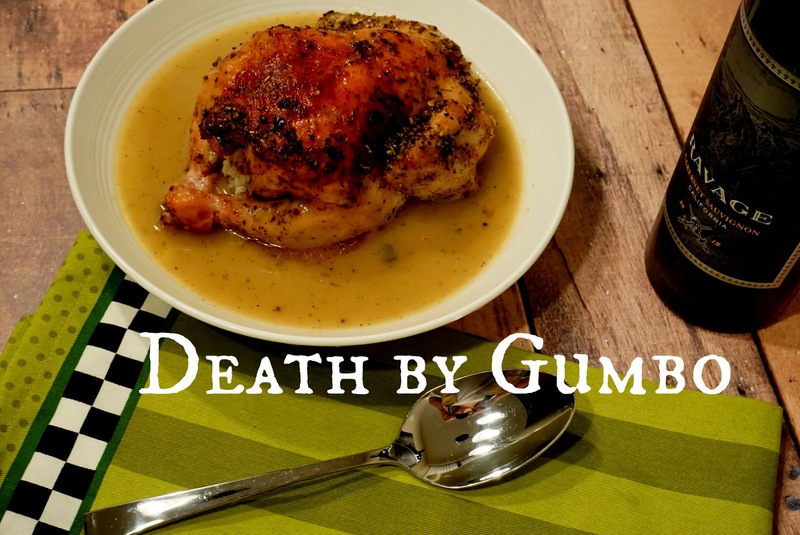 Two weeks after we arrived home, I started looking up various Death by Gumbo recipes, all of which called for roasting the bird (either Cornish hen's or Quail). We recently bought our first house as a married couple and were excited to move from a condo so we could finally grill again! I have made it a mission to grill out on a near nightly basis. Gumbo on the grill? Yes! I've seen recipes around where people stuffed Cornish hens on the egg and instantly knew how I would be making our Death by Gumbo at home. Luckily for me, Sam’s Club currently has a promo through 11/20 for a 6 pack of Tyson® All Natural Premium Cornish Hens where you can save $3.75 off, which made it a very affordable meal for 4 people (I froze the other two hens). 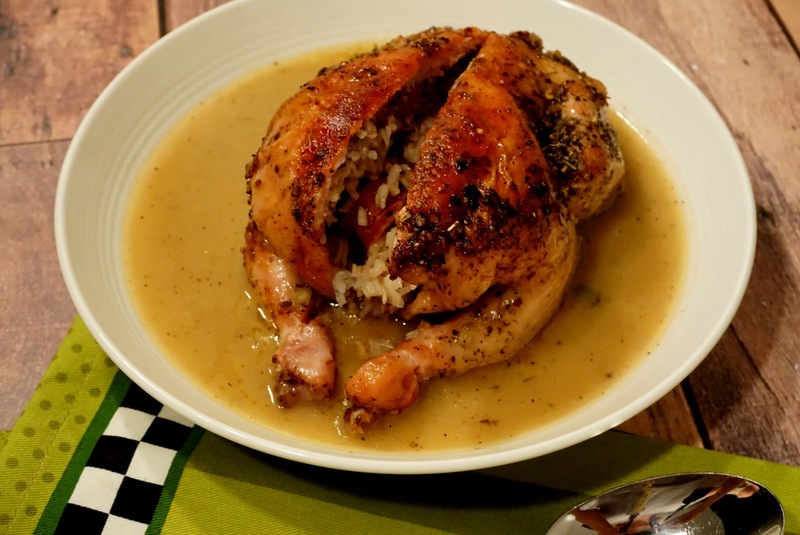 I've cooked with Cornish hens a few times and it has always ended up as an elegant, delicious, simple and affordable meal which is great with the holiday's coming up! You can check out this video to see how to cook Cornish hen's if you've never cooked them before. I started off the process by defrosting the hens. 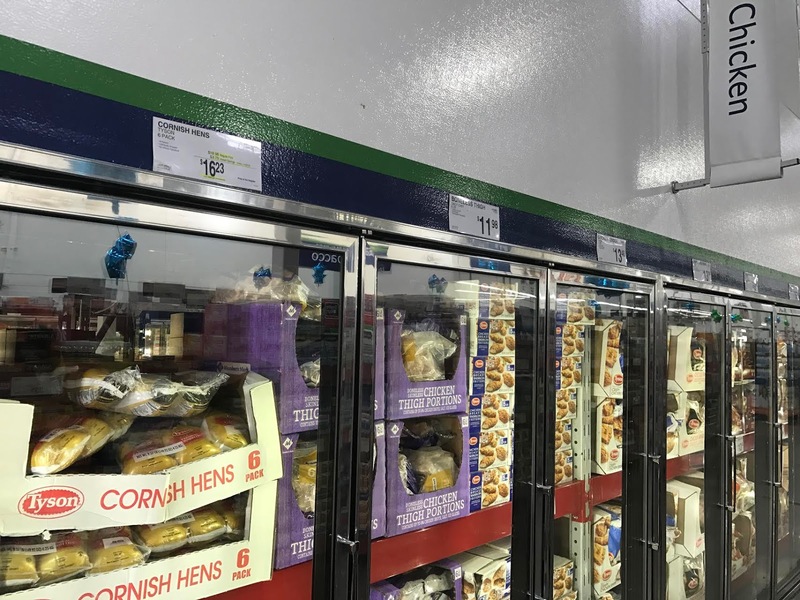 The 6 pack at Sam's Club are located in the frozen food section (however they are all natural with no artificial ingredients, no preservatives, no added hormones or steroids). After spending the night in the refrigerator and a day in the sink, I had 4 defrosted hens waiting to be stuffed. Since I am not in Louisiana, I had to modify the ingredients (I couldn't find Tasso or fresh andouille sausage) but over all, the recipe turned out magnificent and I will be making it again. The recipe I am providing below is for the 6 pack of hens, you can modify it based on how many you are feeding. I will say that one hen per person was too much food with this recipe. My recipe was modified from the original found here. Season the hens with salt and pepper inside and out. Remove the liver if the bird has it inside. I also used a Cajun garlic seasoning to give it a little more flavor. Preheat your grill to 375 degrees F (you can also do this in the oven). Combine the cooked rice with garlic powder, parsley and gumbo file. Stuff each bird with 1/4 cup of the rice mixture, sliced sausage and oysters if you're using them. Tie up with with cooking twine. Place your birds in an oven proof dish, breast side up. Place the dish on the grill, brush with butter every 15 minutes cooking to an internal temp of 160 degrees F (can take 45 minutes to a little over an hour). While your hens are cooking, start your gumbo. Heat 1/2 cup of oil in a dutch oven over medium high heat (be careful not to get your oil too hot). Whisk in the flour and stir it constantly until it’s smooth and a deep brown, about 15 minutes. I did not do this long enough which caused my gumbo to be lighter than it should have been. Now it's time to add your veggies - add the onion, celery, bell pepper, and minced garlic, stirring constantly until the veggies are soft, about 5 minutes. Stir in the mushrooms and sausage and cook until the mushrooms soften, about 3 minutes. Slowly stir in the chicken broth, stirring constantly, until the liquid is the consistency of heavy cream. Stir in the thyme. Bring to a boil then reduce the heat to a simmer. Cook, uncovered, stirring occasionally, until reduced by half, about 30 minutes. Season to taste with salt and pepper. Stir in the scallions and parsley, and remove from the heat. Strain through a sieve and pour into a gravy boat(s). Cut the twine off of the hens, place each in a large shallow bowl (big enough to fit the hen). Cut through the top of each hen. Place in front of your guests and pour about 3/4 cup of the gumbo around it. Top with parsley. This would make a fantastic dish to serve during the holiday's. Not only is it unique, it is very delicious and full of flavor. I paired my Death by Gumbo with a bottle of Ravage Cabernet Sauvignon which I also found at Sam's Club. 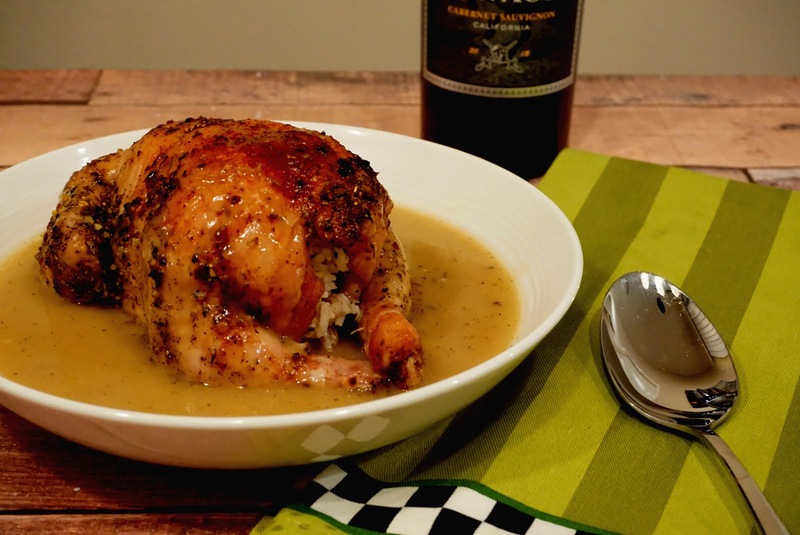 Have you ever cooked Cornish hens before? If not, this is your perfect opportunity to give it a try. If you are near a Sam's Club on 11/19, check out this link to find a Tyson® Cornish Hen + Ravage Cabernet Sauvignon Sam's Club demo near you. 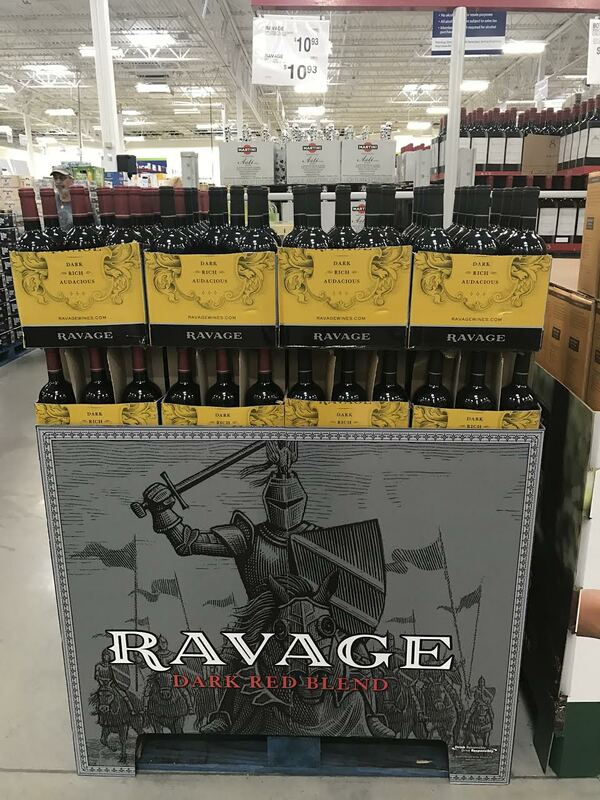 I was able to attend a Ravage wine tasting last weekend and you do not want to miss this opportunity!